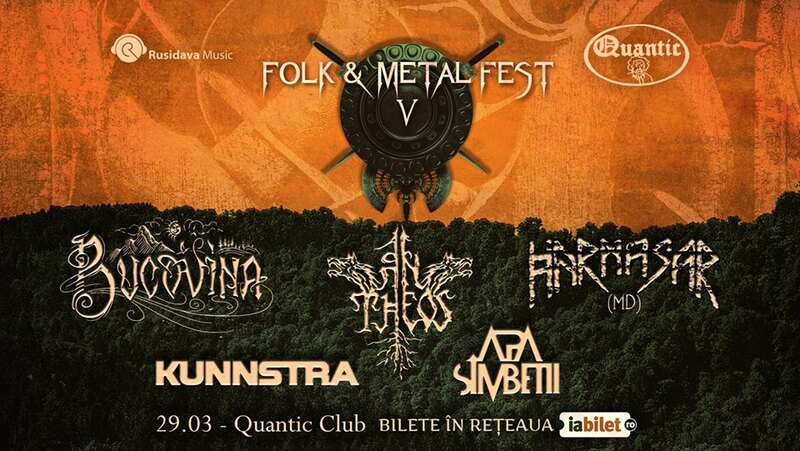 An Theos will join Bucovina, Harmasar, Kunnstra and Apa Simbetii live at Club Quantic, Bucharest, on the 29th of March. It will be a night of metal and joy, dancing and headbanging! Join the Facebook event to be up-to-date with all news! An Theos won 3rd place at Wacken Metal Battle 2018! Watch their trip on the holy grounds of Wacken! Thanks so much Wacken for hosting us on the W.E.T stage! We loved it! Beer, metal, more metal, couldn't have had more fun with you, metalheads! Vuiet de Jale - Music Video is now on YouTube! New tour dates are up! We are going to make a tour in Romania and Bulgaria, then we'll compete in the Wacken Metal Battle. Follow us on social media to keep up with the tour updates! Ai Codrului - New Lyric Video! ​One of the most powerful songs in their newest album Spre Cer. ...And action! Watch what happened at FMF IV to get ready for what's coming. 2018 Tour Dates will be announced soon! After long days of shooting on the Carpathian Mountains and the Carpatian Forests, "Urzeala Timpului" Music Video is finally out! Don't forget to check out the album "Spre Cer" and "Urzeala Timpului" on BandCamp as well! Check it out here! ​ "Spre Cer", An Theos' newest album is now released! Check out the album on BandCamp here. It is the second LP now with 8 tracks, including "Ciuleandra" a Romanian folkloric adaptation to Folk Metal. "Spre Cer" has been released at Folk & Metal Fest IV and will have its own tour of promotion during the autumn of 2017. An Theos released the official video of the song "Noaptea Sânzienelor" that is be part of the first LP called "Seminția Dacă"! ​Also the band released a lyric video for the song ''Nedeea Lupilor''!